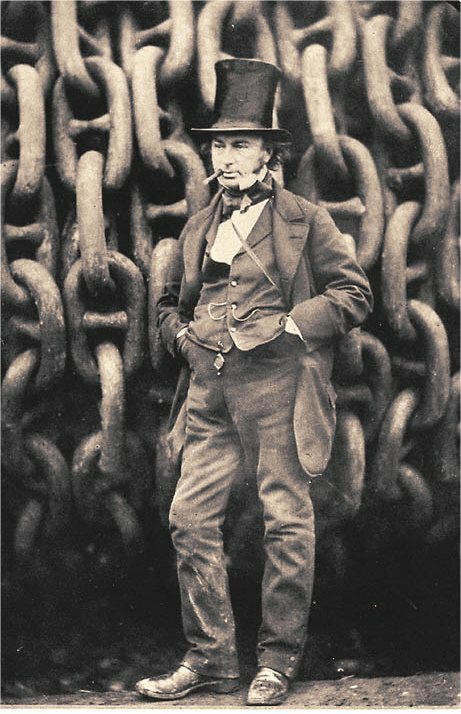 The thing I like about this photo is Brunel's cocky poise, like a bolshy teenager, inspite of being dwarfed by giant industrial machinery. Especially as, given the cameras of the day, he must have had to stand holding that cocky poise for a good few minutes. All material ©Daniel Winterstein Nov 2000 unless otherwise stated, and may not be used or reproduced without permission. So there.